Holcomb, John B., and Worth B. Gregory. “Calcific metamorphosis of the pulp: its incidence and treatment.” Oral Surgery, Oral Medicine, Oral Pathology 24.6 (1967): 825-830. Andreasen, Frances M., and Bo Vestergaard Pedersen. “Prognosis of luxated permanent teeth—the development of pulp necrosis.” Dental Traumatology 1.6 (1985): 207-220. 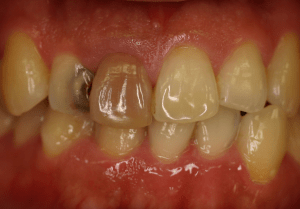 Andreasen, Frances M. “Transient apical breakdown and its relation to color and sensibility changes after luxation injuries to teeth.” Dental Traumatology 2.1 (1986): 9-19.